Dubai: More than 2,000 blue-collar workers have improved their language skills, personality and computer literacy and further developed their career prospects, thanks to free courses run by Danube Welfare Centre. The Centre was initiated in 2015 under the vision of Rizwan Sajan, founder and chairman for Danube Group, and taken forward by the directors Shabnam Kassam, Sana Sajan and Sameer Anwar Shah. 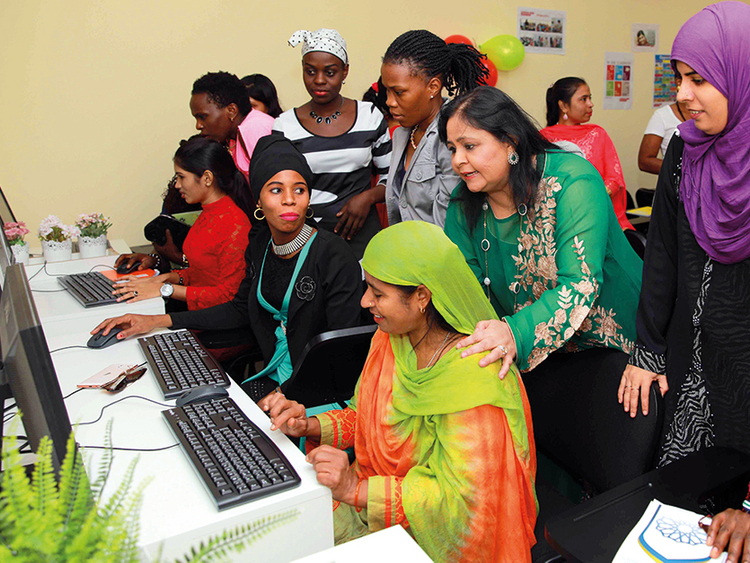 On a daily basis, 200-plus worker visit the centre’s six branches, including one for female workers in JAFZA, which aim to empower unskilled workers from various companies. Thirty two of the ‘students’ have received promotions in their company after attending various sessions, the centre said in a press release. These classes have helped them elevate their positions in their companies and earn more. The increase in wages provides them with an opportunity to improve their lifestyle and support their families back home, the centre said. Rahul Kumar, who has been working as a helper in a company in Dubai the past six years earning low wages, said he scored a better-paying job, thanks to his newly developed capability of reading and writing English along with computer training. He has credited his achievement to the teachers and management of the centre.